I hope you got a chance to check out the fabulous work in yesterday's edition of the Sassy Studio Designs new release blog hop. Today we have a new batch (I sound like I'm talking about Gremlins!) If you haven't guessed, the theme of the release is "The Great and Powerful Oz" and Lindsay did a beautiful job capturing the characters. I got to work with Evanora - the Wicked Witch of the East. Although I haven't had the chance to see the movie yet, I tried to get her as right as possible. She's colored with Copic and I got to use my Graphic 45 Wizard of Oz paper! I'm soooo excited. I got it because well, it's Graphic 45. I had no idea really what I was going to use it for (this seems to happen more and ore lately LOL). The jewel in the center of the bow is Close To My Heart and I colored it with a G16 to match everything. Now make sure you leave a comment and follow the yellow brick road to check out the rest of the team's creations - you could win an image yourself! And don't forget, the Design Team call is still going on, check out the Sassy Studio Designs blog for all the info. Jodi, absolutely love this! 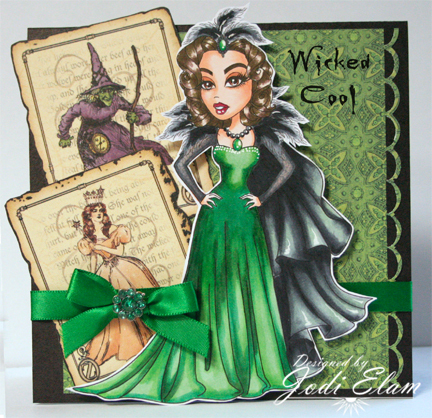 Fantastic coloring and love that green background paper. Cool idea to add the wicked witch and glinda cards. Wowwee.... the longer I hop, the greater the cards get!!! This is outstanding!!! Awesome colouring and great layout... love the cards!!! OH WOW this is awesome! LOVE your coloring ... just gorgeous! Thanks for all the inspiration and Happy St. Patty's Day! Your card is wicked cool. I love it. Great job. 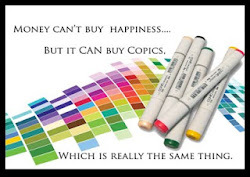 The copic coloring is fantastic. Once again, Evanora is my favorite image. Just beautiful! Love the papers and as always, your coloring is awesome! Her cape just knocks me out! Absolutely stunning as always! LOVE your card!! Gorgeous image!!! 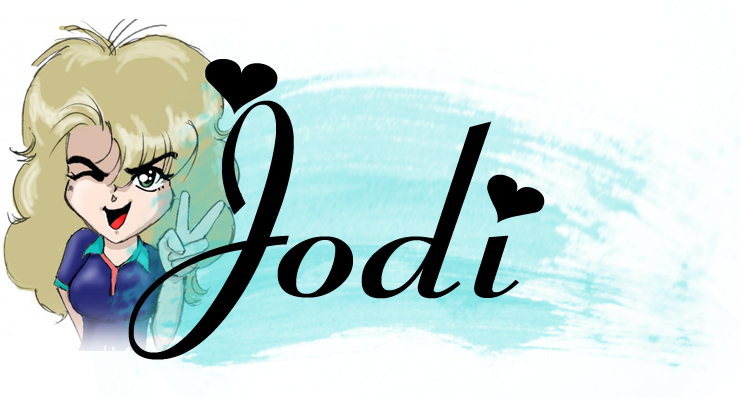 Jodi, Love the colors. And you're like me, you buy stuff because you want it and have no idea what you'll use it for. But everything works out and the perfect project comes around and you're glad you have it. Everything is perfect. Love the card. These witches are so cool... your coloring is amazing. Thanks for sharing. Oh, that paper is perfect, how cool. Beautiful coloring as well. what a perfect creation loving your colouring and design fab job. Jodi, this is beautiful and I love the Graphic 45 papers you found to go with this. Beautiful. Your coloring is absolutely Stunning like always. Love it. 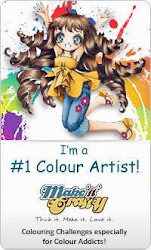 Cool background images and I love your coloring! How perfect is the G45 paper to go with your beautiful card. Love the coloring! I love this. Your coloring is fabulous. Your coloring is absolutely gorgeous. I love this card. Just Stunning! Your coloring is amazing!! LOVE IT!! Just gorgeous!!!! Beautifully colored!! I had hoped to get the G45 Oz papers in time but didn't...but I have it now and can't wait to "play" with the other images and use that paper! Your card is fabulous! And your coloring is so perfect and pretty! Absolutely awesome!! I just love your card, and the Graphic 45 Paper is totally perfect. Great coloring!